If you’re looking for a show-stopping Thanksgiving or Christmas Day brunch item, look no further! This Cranberry Walnut Crumb Cake can be made in advance and offers a tender, moist cake with juicy cranberries and crunchy walnut streusel. I cannot even believe that Thanksgiving is next week! How did this happen? Wasn’t my birthday (January 24) a few weeks ago? I could have sworn I was just in Portland a week or so ago (April). And now red and green everything is being shoved in my face and I’m already hearing Taylor Swift renditions of Christmas carols. WAIT UP, WORLD. I’M STILL IN EARLY 2016. So, I suppose this begs the question: What are you doing for Thanksgiving? But every year, my grandma also kicks and screams about making Thanksgiving dinner, and since she’s a grandma and has seen like, wars and stuff, I usually let her cook the dinner but insist on bringing sides… Coincidentally, all the sides I like to eat. But as usual, she always persists that she wants to make all of it but I draw the line at desserts. 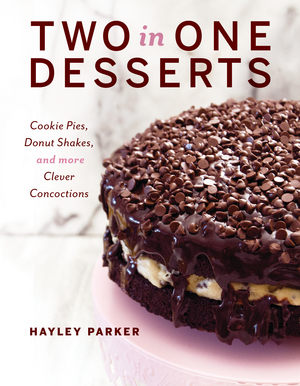 My grandma – bless her – is NOT a baker by any means, and ahem, I kinda sorta have a best-selling cookbook about DESSERT so it’s kinda mandatory that I bring dessert. Even though she still buys a frozen pie. *facepalm* Where’s the wine? So this year, as usual, I am delegated with the task of making desserts. And of course, since I am a control freak/the world’s most indecisive person, I will make no less than 4 different pies, and probably cookies, brownies/bars, and/or a cake. Because I like having options, okay!? But since I also don’t have any other kitchen tasks and can make all my desserts ahead of time, I’m going to surprise my family (well, unless they read this) with this Cranberry Walnut Crumb Cake again. This cake is based off of my Apple Cinnamon Crumb Cake (which you absolutely NEED to make!) but made with bright, zippy cranberries and crunchy walnuts in the inch-thick brown sugar streusel, then topped with a light orange glaze. It only looks complicated because it’s kinda sorta gorgeous. But I assure you, this couldn’t be simpler: you literally let the pan do the work for you! And the star of the show today is the springform pan. It’s essential for this recipe, but if you don’t have one, a tall-sided 9″ round cake pan should work. Preheat oven to 350 degrees F. Liberally grease a 9" round sprinform pan with cooking spray. Place a 9" parchment round in the bottom of the pan, then grease the parchment. Set aside. For the cake batter: In the bowl of a stand mixer, cream together the butter and sugar until light, about 2 minutes. Add in the eggs, one at a time, beating well after each addition. Add in the vanilla extract and sour cream; beat well. Lastly, add in the flour, baking powder, baking soda, and salt and mix until combined. Fold in the cranberries. Pour the batter into the prepared pan and set aside. To make the streusel/crumb: In a large bowl, toss together the crumb ingredients until moistened and large crumbs form. Liberally drop crumb mixture over the cake batter, covering it completely. There will seem like a LOT of crumb, but use all of it! Bake for approx. 60-75 minutes or until a toothpick inserted near the center comes out clean or with moist, not wet, crumbs. Cool completely. Juicy, bright cranberries. Crunchy, buttery walnut streusel. Is there anything better?! I freaking love cranberry in baked goods – it adds such a pleasing contrast. Love this cake! That looks fantastic! Would be so perfect for brunch too. I made this for Thanksgiving and it was the best dessert I have ever eaten or made and every single person that tried it is totally in awe and in love with it!!! Following your directions was a breeze and everything about it was ridiculously amazing! ! 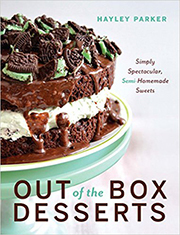 This would make the best gift to bring to a dinner anytime, but especially the holidays!! I was nervous because I’d never cooked with fresh cranberries, and wow was it delicious! (Now can it be 100% calorie-free? Because I’d eat it every day!!) Thanks for sharing such and awesome recipe!! Stephanie, I am SO happy to see this comment! So glad it was a success for you. This cake is SO wonderful, I agree! If you didn’t know, I also (originally) made it with apple cinnamon flavors… ALSO AMAZING! xoxo! This looks heavenly. I froze some cranberries at Thanksgiving. ..could I use those? 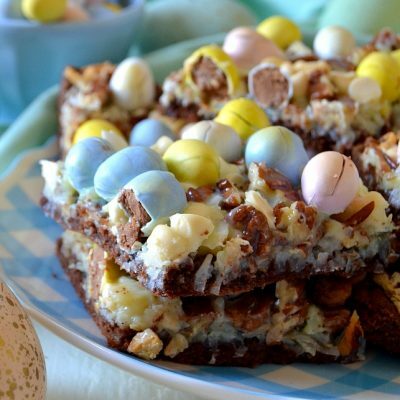 Made this for Easter and I used frozen cranberries and it turned out delicious. those reading this just don’t unthaw cranberries, fold them frozen into batter. Diane, awesome! So glad you enjoyed! I made this cake during the holidays. Everyone loved it. My daughter is requesting this cake for her rehearsal dinner this Friday. I can’t find the cranberries, not even frozen so I will have to go with some new ones I just found in small cartons that are sweetened a bit. I also add orange zest to the cake because she loves the orange flavor with the cranberries. Thank you for such a delicious cake! I will be trying your apple version for the first time too. My husband LOVES apples! Hi Penny! Yeah, unfortunately I’m not sure where you can find fresh cranberries nowadays since it isn’t the holiday season! I also have a Lemon Almond Crumb Cake version which is FABULOUS if she loves that burst of citrus! I just wanted to let you know that my family loved the original version with the full recipe of topping. That is what made them love it. I will continue to do it that way. Found the cranberries for the first time this season, at Walmart and this cake was what I was waiting for them for. I will leave a small center circle of non crumb in the center of the cake so that I can check it with a toothpick. Thanks again for my family’s favorite fall recipe!!! I plan to make this Saturday for a Sunday brunch. Lol…or whenever this mama decides to get out of bed. I have frozen berries that need to be used. It states to cool completely and to release from the pan after the glaze goes on. Would it be fine to leave the cake overnight in the pan? Wrapped on top of course once completely cooled. Hi Lisa, yes that’d work! Do you cook the whole cranberries first? Hi Joan, nope! Toss in the raw cranberries. I made this cake two times in three days. The first one I baked for over 60 minutes and was totally raw in middle. I checked oven temp and it was properly calibrated. I looked at your other similar recipes and saw you had 1/2 teaspoon baking soda, which was not listed in the Cranberry Walnut Crumb Cake. I made second cake and added the baking soda. I had to bake it for almost 90 minutes before toothpick came out dry. This cake was perfect and delicious. Hi Karen! So strange that your baking time varied so much from mine! And you are right – this should have baking soda in it, too. My mistake! That’s what I get for writing late at night 🙂 Adding it now. Glad you enjoyed the cake! I used this recipe a couple of days ago and I had the same issue – I DID use baking soda and it took around 90 minutes to bake. I ended up scraping a lot of the walnut topping off the cake to assist with the baking process. The recipe says that the topping will look like a lot but to add all of it. In my experience, it looks like too much and IS too much! The final product was delicious, but the longer than suggested baking time and too much topping that i had to remove made me very nervous throughout the process and had me second guessing the recipe. Also, for the glaze, I doubled the amount of orange juice to add a bit more flavour and make it a bit thinner – it was perfect. I will definitely use this recipe again, but with a few of the teaks I implemented during my first attempt (less topping, more orange juice in glaze, be prepared for a longer baking time). Hi there! I fixed the baking soda – thanks for telling me! I am sorry the recipe as written gave you issues. I have made numerous iterations of this cake and have never had an issue. I’ll look into the recipe this weekend to see if I need to update it. In the meantime, I did update the baking time. Can I make this cake ahead of time and freeze it? Hi Judy, I haven’t tried that personally but it should work! Let me know when you try it. I made this tonight and followed exactly as written. I baked for 60 min. checked it and the toothpick was a little sticky so I baked another 10 min. Toothpick looked the same and I second guessed it thinking the crumb topping was affecting it (surely 70 minutes was plenty for a cake…). I let it cool completely but when I started slicing it I knew something was wrong. It was completely raw in the middle and even oozed out when I sliced it. The whole cake fell apart and made a huge mess on my counter (I took a picture but I can’t put it here in my comment). I served my kids the cooked 1″ around the edges and what we did have tasted really, really good. I am so incredibly sad this didn’t turn out and I honestly don’t know what I could do differently other than baking it for 2 full hours. I am a 30-years experienced baker and have never had any recipe be a complete failure such as this was. So sad. Hi Eliza! So sorry this recipe didn’t work for you! I’m trying to figure out what the problem could have been, and I’m wondering if your oven is not calibrated properly? Sounds like it isn’t heating up enough. I bake all the time (nearly daily) with no issues so I doubt it was my oven. I am going to half the recipe and try again. If the same thing happens again there must be something amiss in the recipe. I saw another lady had a similar problem. Well, I tried this recipe again today and was exact in everything called for. I put a thermometer in the oven and checked frequently and it did stay at 350 for the entire bake. I used a nice quality Pampered Chef springform pan. It took 80 minutes for the cake to finally be done (I dug a small hole each time and checked with a spoon, a toothpick just wasn’t accurate), sadly by the time the cake was done the topping was way over done and ended up being super hard after it cooled making it difficult to cut. There must be something wrong with the recipe, a missing ingredient perhaps? The batter is WAY thicker than any other cake I’ve ever made over the years. I don’t know… Anyway, I feel I gave it a fair chance and I will not attempt this cake again. Plus, it never looked near as gorgeous and enticing as the photo found here on your blog. What a disappointment. Yup – I had the exact same issues – but I persevered and kept baking it to completion (90 minutes) and scraped off half the topping to assist the cooking process. Hi Rose, that’s so interesting – I have made this cake several times and it has never proven to be a problem. Will remake this weekend and update instructions if needed. I tried a springform pan with the hole in the middle. An hour and ten minutes did it for my cake. Delicious! The third one I have made in two weeks–giving some away each time!! Only used 1/2 the crumb topping and added another1/4-1/2 teaspoon of OJ to glaze because I like it to be thinner. My husband loves this cake. Iam wondering if the topping was way too much and too heavy for the cake to rise. That’s what my husband and I think. The first time I made it the topping was clear to the top of my pan and even mounded in the middle. Mr. Man thinks that super thick crumb insulated the cake and kept it from baking properly. I’m a lttle reluctant to try after reading the other comments. If I did, I would try a bundt pan. Kris, that’s a good idea! I have this cake in the oven right now and things are not going well. I wish I had read the comments before I started baking….. I usually do but I was looking for something to do with some left over fresh cranberries and the recipe looked soooooo good…. I just jumped right in. The problem is the bake time. I used a 10″ pan, followed the directions exactly, set my timer for 70 minutes and it was raw in the middle. I’m sure my oven temp is good (I keep an oven thermometer in there all the time). I think others are right and it is the amount of crumb that is the problem. I also think that the size of the walnut pieces might contribute to the under-baking. If you use a rough chop vs a finer chop the crumb will not create a solidly packed topping. I used a fine chop… sigh. I put the cake back in for 20 more minutes but it still isn’t done. Right now my crumb is way too brown and the cake is still not cooked. When I inserted a thermometer I read about 170. Cakes should be about 210 when done. I’m going to lower the temp & tent the top to see if I can get it done without burning. Hi there! I am so sorry you had some issues with the cake – I went ahead and re-baked this and reformulated it with a smaller crumb quantity… going to update the recipe now! Thanks for your feedback, and I hope it turns out! Can I use dried cranberries if I presoak them? I had to leave this in 90 minutes. Good but seems dryish and nuts developed a burned flavor from too much time in oven, even though I covered with foil during last 30 minutes. Cover with foil during last portion of baking. Ice upon removal from oven to keep topping from being too hard – keeps softened and is very nice touch. I only had a clementine so used juice and peel for icing – really nice!! I just cooked this recipe, and I had no issues at all. It turned out moist in the center with a light crunch on the outside from the walnuts and crumb. It is absolutely delicious and the perfect way to use leftover cranberries. It’s also a beautiful cake, so it would be perfect to take somewhere and look like a rockstar baker. It is December 2018 and I would love to make this for Christmas but there is just too many people complaining about the inability to make it bake properly and turn out as shown in the picture. If there has been some revelations that have been made to figure out the problems, please let me know. I would love to try but want it to work. Also, can you use dried cranberries? I have some very plump soft cranberries and feel they would be great also.